Migratory birds and military aircraft—like during World War II—often fly in a V-shaped formation. The “V” formation greatly boosts the efficiency and range of flying birds, because all except the first fly in the upward motion of air--called upwash--from the wingtip vortices of the bird ahead. 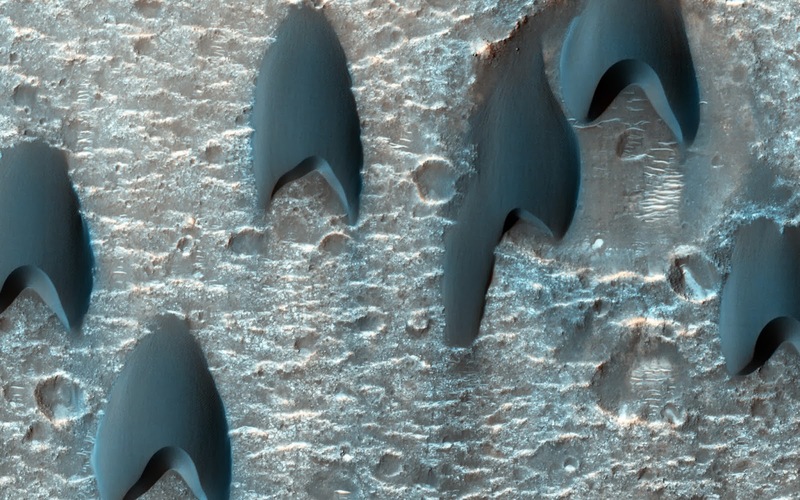 In this image of a dune field in a large crater near Mawrth Vallis, some of the dunes appear to be in formation. For dune fields, the spacing of individual dunes is a function of sand supply, wind speed, and topography. 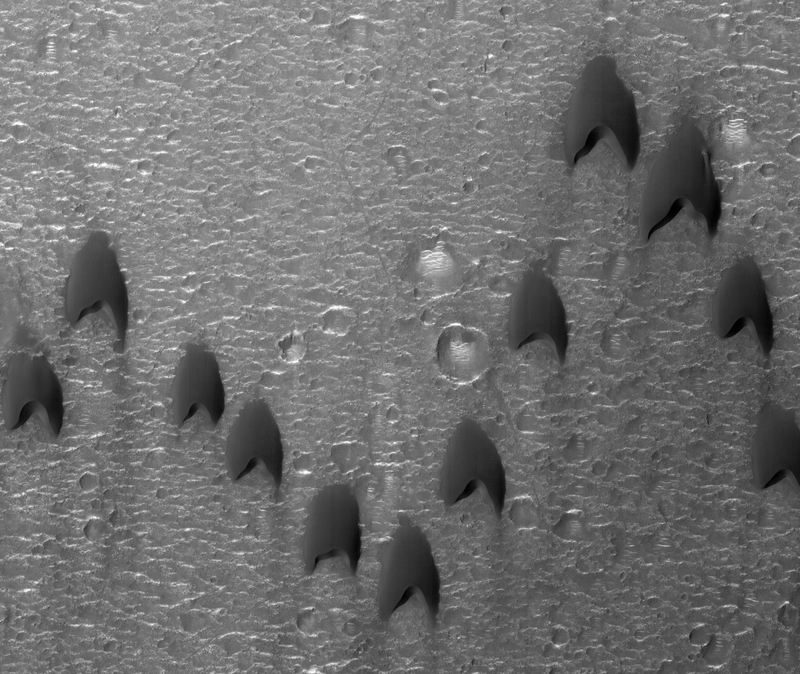 Note: For more information, see PIA17981: Dunes Flying in Formation.